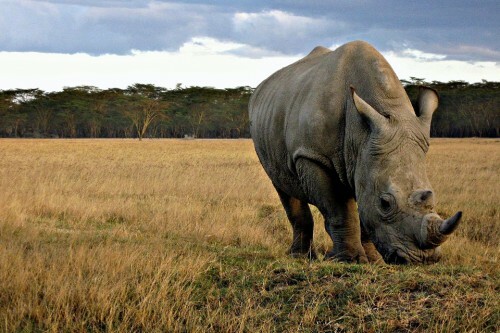 Cheap flights to Kenya: Nairobi for only €446! If you want to escape cold Winter in Europe and enjoy bit of warm African sun you can book these cheap tickets to beautiful Kenya. 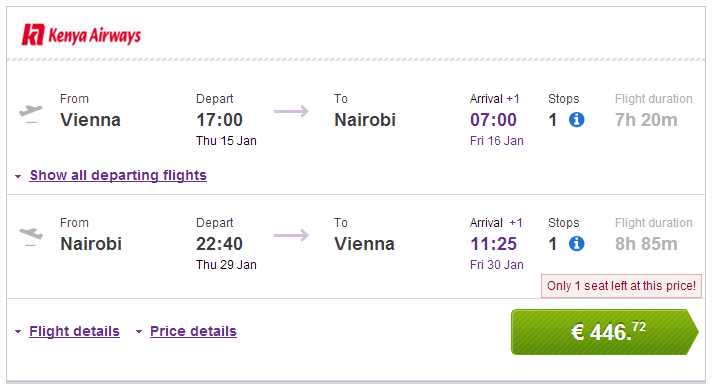 Return flights from Vienna to Nairobi are available for only €446. Flights are operated by Kenya Airways and KLM with 1 stopover in Amsterdam. 23 kg luggage is included and there is plenty of travel dates to choose from between September 2014 and March 2015. Book on BudgetAir to get this awesome price. « Cheap flights to India: Delhi & Mumbai from only €259 with Etihad!